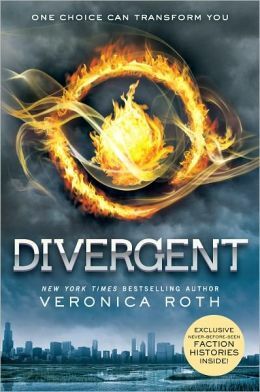 Divergent by Veronica Roth: I finally got around to reading it! I wanted to wait until the third and final book was released before I started the series, and I’m glad I did. Fans of books like The Hunger Games by Suzanne Collins, Matched by Ally Condie, and The Pledge by Kimberly Derting are sure enjoy this series. Typical dystopian setting, people are crazy, so the area around Chicago has divided itself into five different factions. Each of these “factions” hold a characteristic to be most important: Dauntless=bravery, Erudite=brilliance, Amity=peace, Candor=honesty, and Abnegation=selflessness. With each faction upholding a certain characteristic above all others, the societies can cohabitate. Or so is the theory. Belonging to one of the factions is the most important thing. If you fail to become a functional member of one, you are kicked out and are forced to live a life of the factionless, roaming the boarders, belonging to no one. Upon your 16th year in school, you are administered a test that tells you which faction you would function strongly in, and you are given the choice to stay in the faction you were born into, or pick another. Beatrice “Tris” was born into Abnegation, but never quite got the hang of being selfless and quite. When her test results are inconclusive, she discovers that she is something rare—she is Divergent. This means that she holds too many strong characteristics to belong to just one faction. Warned that she must keep this a deep secret, or people may try to harm her, she chooses to become a member of the Dauntless community. 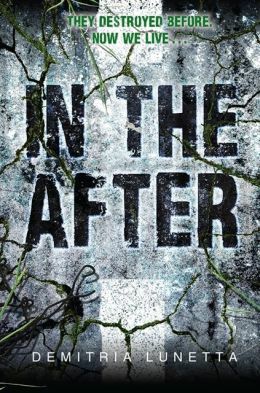 Tris quickly learns that people aren’t always what they seem. Everyone has a hidden secret. Can she keep her secret hidden, and can she make it through the Dauntless initiation alive?